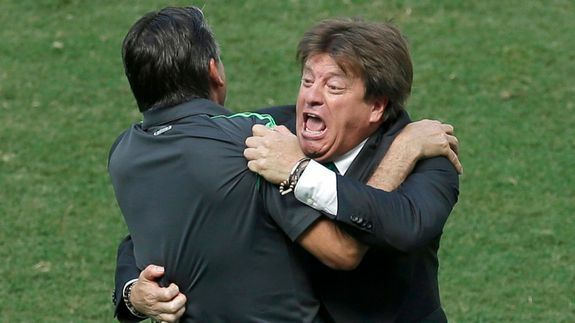 9 Reasons Miguel Herrera Is Still the World Cup Champion of Our Hearts - trendistic.com: ever tried. ever failed. no matter. try again. fail again. fail better. At first, it seemed Mexico was headed for a win in its Sunday elimination match against the Netherlands, but the Dutch scored twice late in the second half, leading to a 2-1 win in their favor. And while Mexico is hurting for its players, it’s the team’s lively Mexican coach Herrera who the Internet will miss most. Eddie Murphy is a low-key hero in ‘Mr. Church.’ How about a superhero next?